My first post in 2018 🙂 I hope you guys had a great holiday. We had fun hanging out with some friends and kiddos on New Year’s eve and counted down at 8 pm. You know…family-friendly New Year celebration 😉 I absolutely tried not to step outside the house unless it’s really necessary! The weather is beyond cold! I would rather grow fat and stay warm at home trying to make the best of the last day of the holiday. I can tell you it’s going to be hard trying to get back to routine for the kids tomorrow! But life must go on! Anyway, I thought I started the year posting something a little “healthier”. 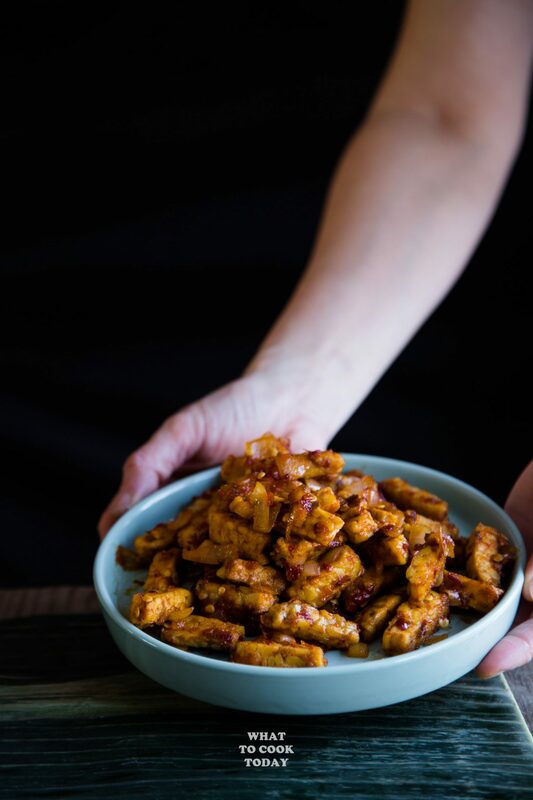 Though the recipe said it’s fried tempeh, you don’t have to deep fry them. I’ve made them by just pan-frying and it’s still good. 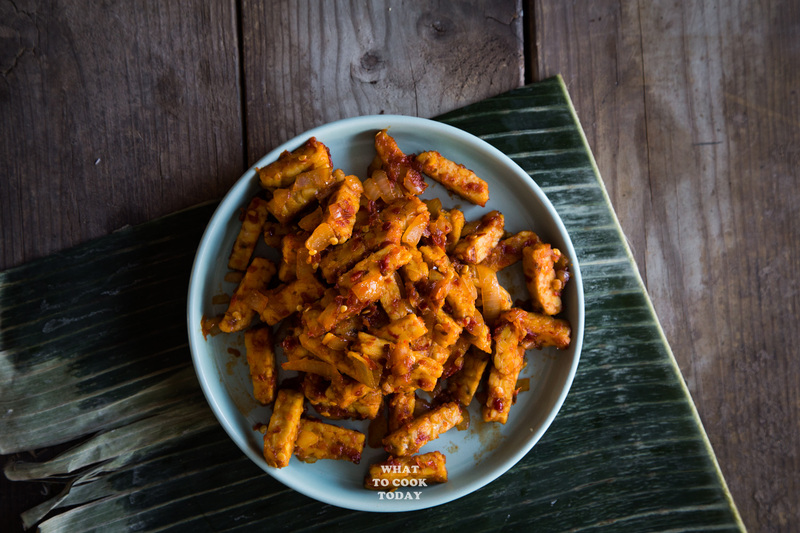 Tempeh or translated into soy bean cake is a very common food in Indonesia. It is considered a “cheap” source of protein. It wasn’t popular at all (outside of Indonesia) until recently. 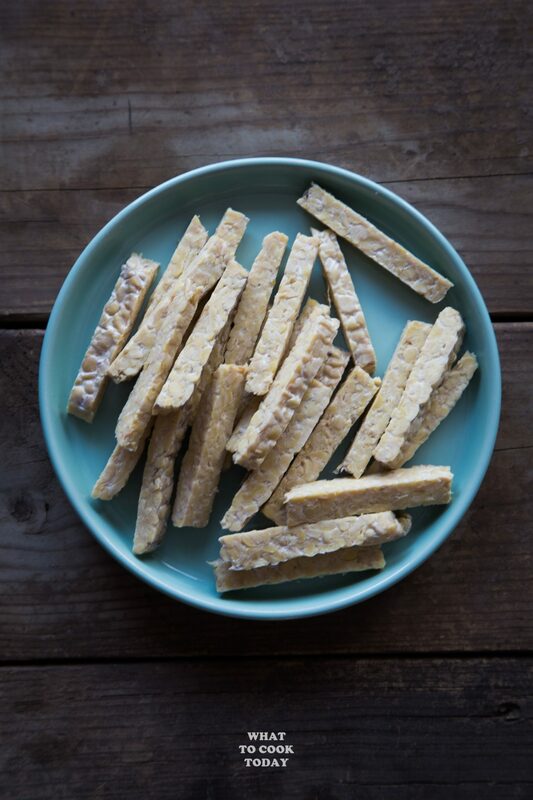 I’ve actually found some tempeh here in Minnesota. 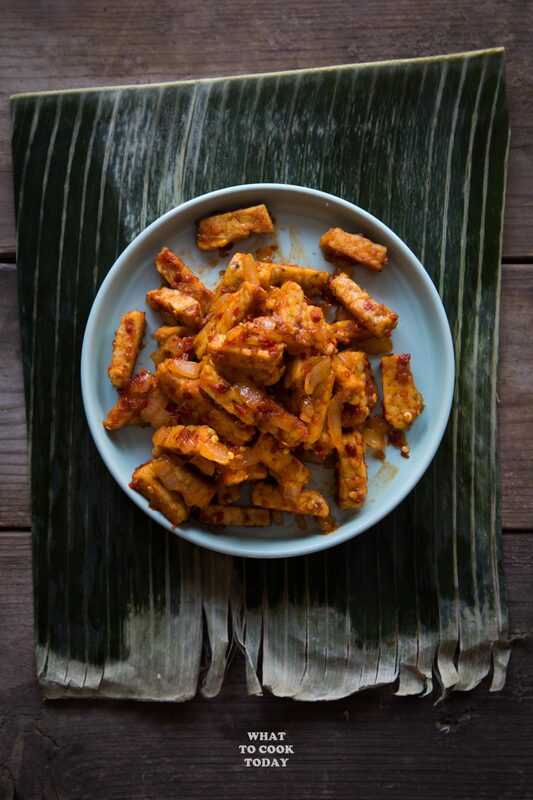 In Indonesia, tempeh is traditionally made by a fermentation process that involved soybeans and a “starter” (they call it a tempeh starter) in a low acidity environment. The end result is soybeans being knitted together by this whitish mat of mycelium. They are then wrapped in banana leaves and ready to be sold or consumed. 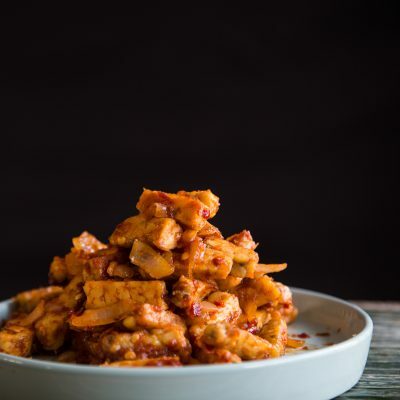 A popular way of preparing tempeh dishes in Indonesia includes deep-frying them and eat them as snacks like this Tempeh Mendoan or cooked with sambal (like this recipe below), cooked into curry, and saute with other vegetables and sambal. 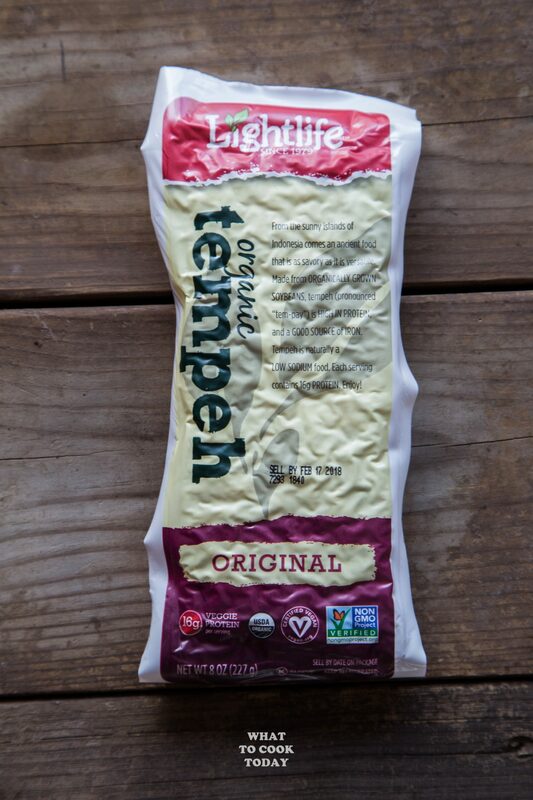 Common usage of tempeh in North America that I’ve seen is using tempeh as patties in a burger. A great source of protein for those who seek vegetarian option. Hi Marv. 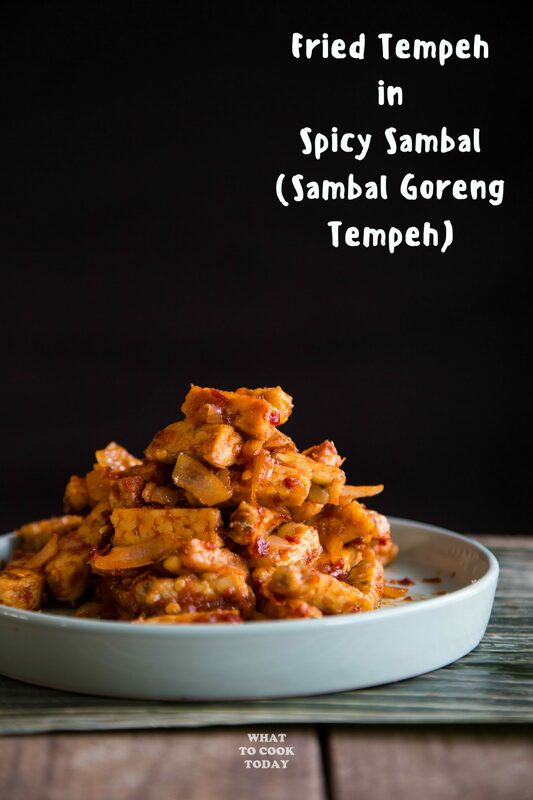 I love sambal tempeh but with the fried anchovies version. 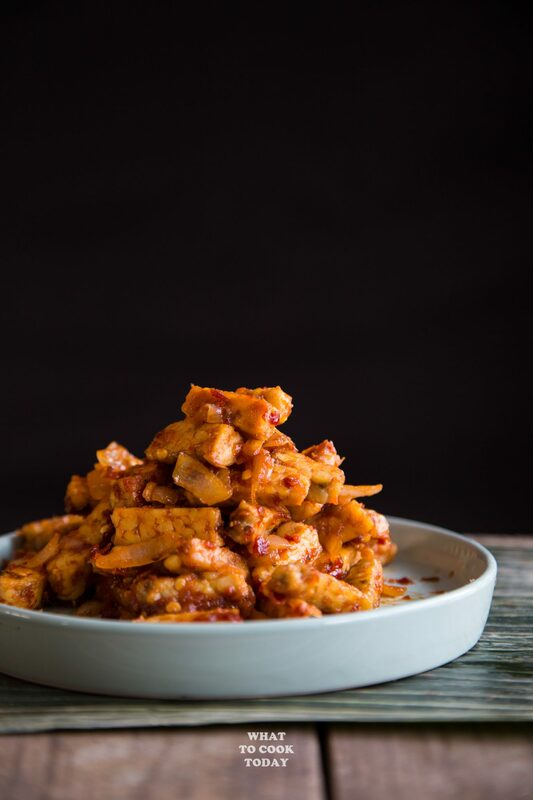 Thanks for sharing your Indonesian recipes. Similar life story with yours. Never imagined to settle down in a land far away from the delicious food we take for granted in SEA!